Foxy with sparking green eyes, a wild animal who lives on the edge of our world - early morning and evening looking for food. Either ends of the day in the summer, if you walk quietly, you might discover a family with the fox cubs rolling and playing in a field. The Fox has the most beautiful tail and uses his mental strength to overcome the wolf and strong but not so cunning bear in northern countrys like Finland. In the Little Prince by Antoine de Saint-Exupery the story tells of a Fox meeting the young Prince during his travels and the story's essence is contained in the lines uttered by the Fox to the Little Prince: On ne voit bien qu'avec le coeur. L'essentiel est invisible pour les yeux. ("One sees clearly only with the heart, what is essential is invisible to the eye"). But another key message: Tu deviens responsable pour toujours de ce que tu as apprivoise ("You become responsible, forever, for that you have tamed". 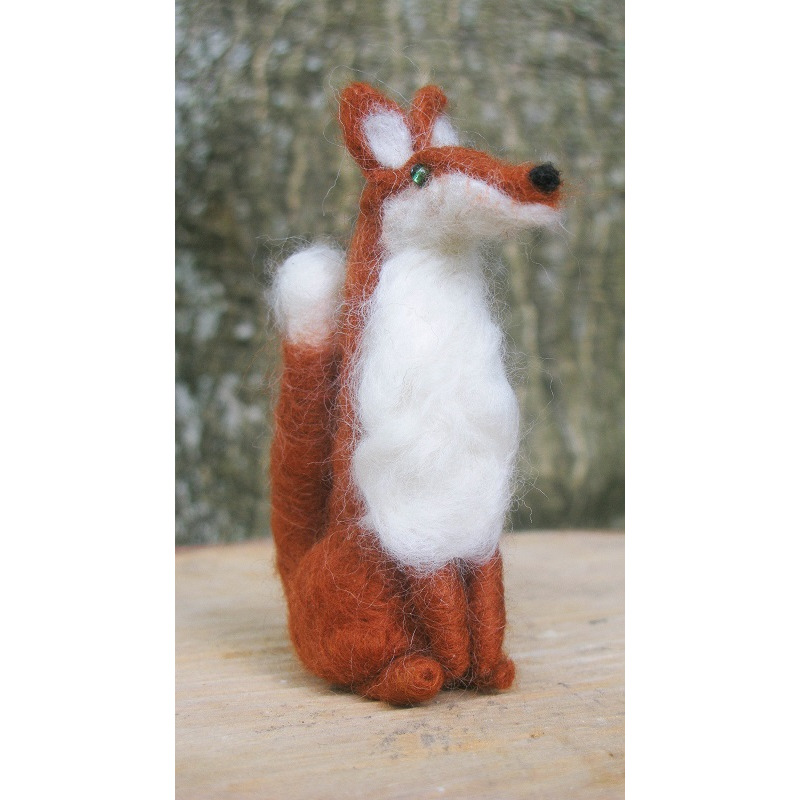 All the foxes will be a little different as handmade for each Order.